He’ll go through his day Miche-style with our chic Miche Men's Money Clip. 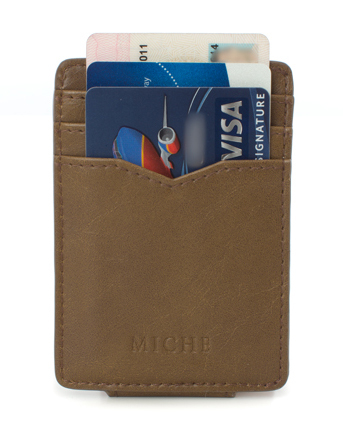 Strong magnetic clip is designed to keep bills firmly in place, and there are three card slots on the back. Covered in tan faux leather.